New Belgium Brewing's annual Tour de Fat, a ballyhoo of bikes and beer, with environmental sustainability at the very heart of it all, is returning to the Mothership in Ft. Collins, Colorado. New Belgium Brewing's annual Tour de Fat, a ballyhoo of bikes and beer, with environmental sustainability at the very heart of it all, is returning to the Mothership in Ft. Collins, Colorado. 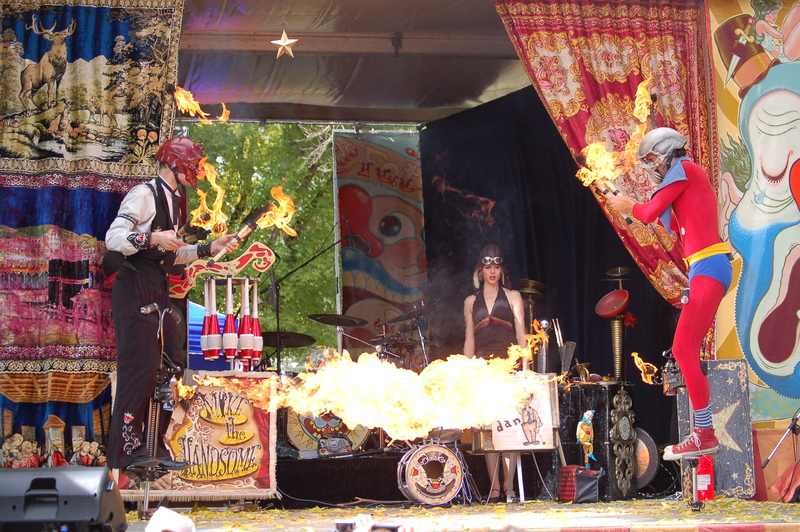 The cycling circus spins into town on September 22, 2007. The tour will hit 12 cities this summer, while traveling on B100 biodiesel fuel. Tour de Fat began seven years ago in Ft. Collins to increase awareness and participation in cycling as the sustainable transportation alternative. Tour de Fat has captured the imagination of communities across the West bringing people together with fanciful entertainment, contests, art displays and, of course, New Belgium beer. Last year Tour de Fat traveled to 11 cities, attracted more than 31,000 people and raised more than $166,000. 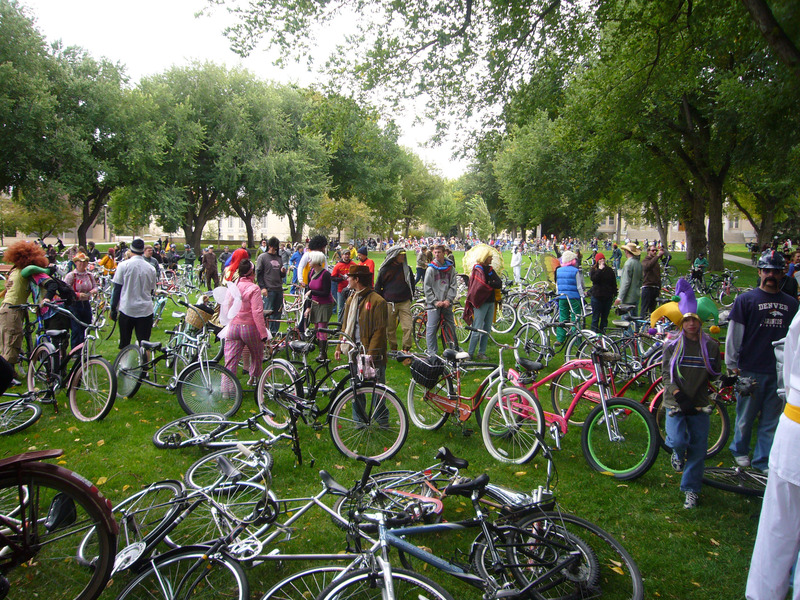 It has become a great tradition for bike enthusiasts, charities and bon vivants of every kind. "Tour de Fat is a one of a kind, must-see summer event," said Chris Winn, Tour de Fat's coordinator and event evangelist. "People and bikes parade around decorated in outrageous costumes, great musicians take to the solar-powered stage, and fascinating performers entertain with creative antics, all while we raise money for local organizations that support the two-wheeled lifestyle." Tour de Fat is free to participants, but money spent on beer and New Belgium Brewing groovy goods goes towards local charities. The Ft. Collins stop will raise money for Diamond Peaks Mountain Bike Patrol, a non-profit organization run entirely by volunteers that promotes responsible mountain biking and Bike Ft. Collins, which educates and encourages people to foster a bicycle-friendly culture. In addition to raising green for local charities and organizations Tour de Fat supports "green" initiatives. Consistent to New Belgium Brewing's commitment to environmental sustainability, Tour de Fat seeks to leave as small an environmental imprint as possible. One volunteer in each city will commit to live car-free for one year, as part of the Car-for-Bike Trade Program. The dedicated individual will sign over their car title and in exchange get a hand-built New Belgium commuter bike. The selected volunteer will chronicle the trials and triumphs along their car-free journey. The volunteer is chosen after submitting a video or letter describing themselves and their desire to live car-free. At the Carbon e-Racer Kiosk participants can see how much they will help the environment by making a commitment to join Team Wonderbike. Team Wonderbike members promise to commute by bike at least once a month for a year. The Tour de Fat crew traveling on B100 biodiesel fuel. Bands play from solar-powered stages that are transported in solar-powered trailers to keep the energy flowing. Volunteers and staff help compost and recycle waste from each tour stop, resulting in an overall waste diversion rate of 85% in 2006. The waste diversion rate goal for 2007 is 95%. 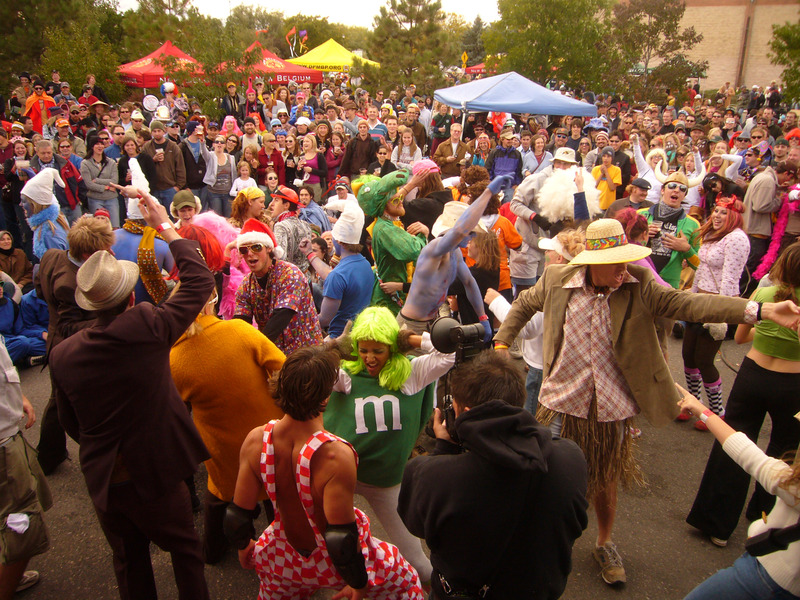 Bring: Your bike, the wildest costume you can find, and excitement about the whimsical way you will spend the day! Check 'em out at http://www.asylumstreetspankers.com/ , http://www.marchfourthmarchingband.com and http://www.lordlovesaworkingman.com. A potpourri of circus oddities, including whimsical costumes, original music, baby aardvark ballerinas and a beetle tamer. For more information on Tour de Fat, please visit http://www.newbelgium.com/. To see a video montage of previous Tour de Fat stops log onto http://www.followyourfolly.com/folly_tour_de_fat.html. New Belgium Brewing Company, makers of Fat Tire Amber Ale and a host of Belgian-inspired beers, began operations in a tiny Fort Collins basement in 1991. Today, the third largest craft brewer in the U.S., New Belgium produces six year-round beers; Fat Tire Amber Ale, Sunshine Wheat, Blue Paddle Pilsner, 1554 Black Ale, Abbey and Trippel, as well as a host of seasonal releases. In addition to producing world-class beers, New Belgium takes pride in being a responsible corporate role model with progressive programs such as employee ownership, open book management and a commitment to environmental stewardship. For more information, visit http://www.newbelgium.com.